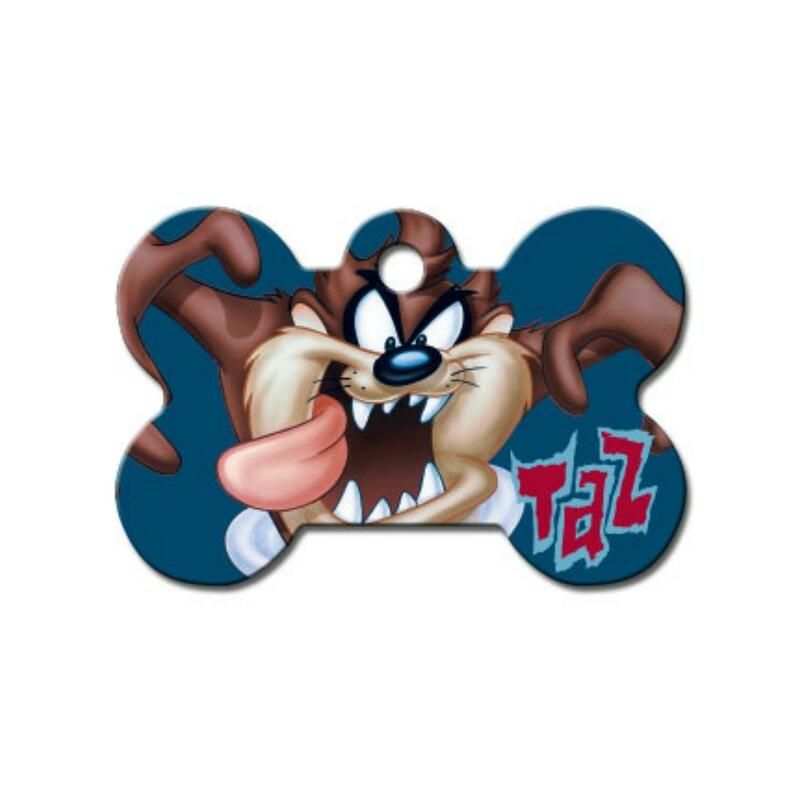 Show your Tasmanian dog some fun love with the Taz Bone Large Engravable Pet I.D. Tag! 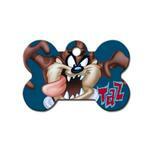 The Taz Bone Large Engravable Pet I.D. Tag will ship to your door, ready to use with your personalized engraving. Don't let your pet leave home without I.D. so they know how to get back! It features an iconic Taz spinning his way to destruction painted on both sides of its high-quality brass base. This larger bone I.D. tag allows for more information to be engraved and works well for medium to large breeds or for dogs with longer hair where visibility is important. Include your pet's name, your phone number, address, medical conditions, etc., with this fun, eye-catching pet I.D. tag. Our pet tag designer will create a look that's legible and stylish. This I.D. tag will be carefully customized and hand polished for your pet. Comes with a ring connector to attach to your dogs collar.